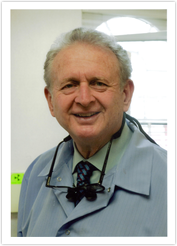 Dr. Turkewitz has always believed the positive effects of a beautiful smile pervade every aspect of a person's life. Whether at a business meeting or a social engagement, a smile implies intellectual, physical, and situation confidence, while also implying approachability. For over 30 years, he has been working with executive and celebrity patients to create the smile that reflects their aspirations and is tantamount to their success. Regardless of the current state of the teeth, there is a solution for every patient. Dr. Turkewitz received a Doctor of Dental Science degree from New York University College of Dentistry and a Bachelor of Science degree from the University of Wisconsin-Madison. Since graduation, he has served as a clinical supervisor at New York University College of Dentistry and has completed over 150 hours of continuing education since 1999. He is a member of the American Academy of Cosmetic Dentistry, American Dental Association, and New York County Dental Society.